All our professionals at Wolken Dental maintain the highest levels of accreditation and pursue ongoing education to stay abreast of the latest trends in dentistry. 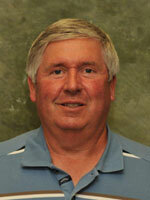 Dr. Wolken graduated in December 1975 from the University of Iowa College of Dentistry, Iowa City, Iowa. He is a member of the IDA, University District Dental Society, Linn County Dental Society, and the ADA. Dr. Wolken was raised in Monticello, Iowa. He is married to Cora LuAnn and they have 3 sons and 1 daughter. Lisa Moore attended Hawkeye Institute of Technology and UNI and has been a Dental Hygienist since 1991. She has worked for Dr. Wolken since 2005. Lisa is married with one daughter and lives in Independence. Heather Knapp has worked for Dr. Wolken for 5 years. She graduated from NICC in 2006 as a Registered Dental Assistant and received her expanded functions training in 2010. Heather is married and has 3 children. In her free time she enjoys spending time with her kids at all of their activities. Kelsey Schwendinger graduated from North East Iowa Community College in 2010 as a Registered Dental Assistant and has been working for Dr. Wolken. Outside of work she enjoys reading and being with family and friends. Meleah Luensman has been the office manager for Dr. Wolken since 2007, as well as a Registered Dental Assistant since 2009. In her free time she enjoys being outdoors, walking, and spending time with her husband and their 3 children.